The New York Times had a very good article on May 27th ” Home Prices Start Easing To The Relief Of Experts” which affirms what I have been saying about the advantage between buyer and seller in the current market. As REALTORS our natural instinct is to represent this market as a bull market where sellers can be more confident they will get their fondest, wished-for price. Our training also encourages this position. The truth is more nuanced. Since the beginning of the housing recovery the pundits have been worrying that home prices would rise too quickly, too suddenly and create an unsustainable recovery. That certainly seemed to be happening in the recent past as prices posted double-digit gains, fueled, in part by historically low interest rates. In places like Montclair and Glen Ridge we all licked our lips in the last year or so as we saw the return of multiple offers and prices driven up by competition. It reminded me of what I call “the good old days” when prices rose 20+% a year and sellers only had to think a price to have their dreams come true. We all rode that gravy train enthusiastically (yours truly included) until it crashed, beginning in 2006. Sellers are now thinking they are back in 2004 and in the cat-bird seat. That may have some truth in certain locations but, overall, it’s not true to the extent that sellers hope. As The Times article points out, the rise of prices has slowed, buyers have pulled back since the mortgage rates started to increase a little and the year over year price increase numbers are slightly lower with some segments posting decreases. 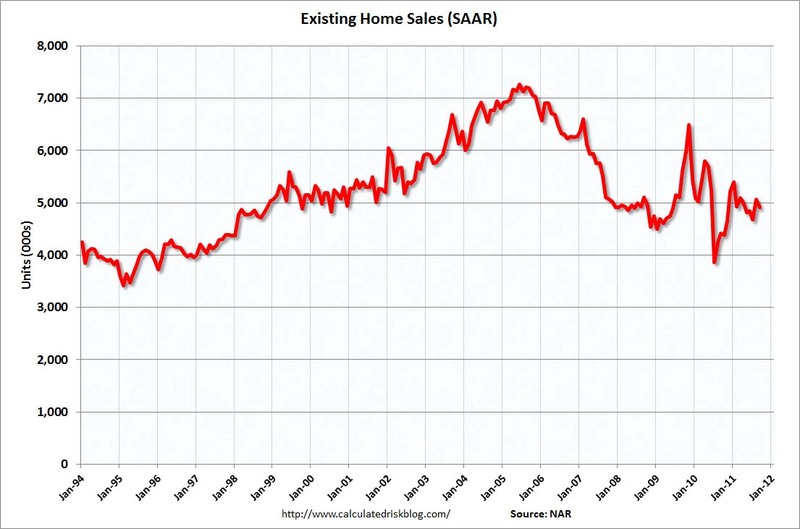 Experts are gratified and relieved that these market trends point to a more sustainable home sales market and I will take credit for predicting (in the depths of the slump) that when housing recovered the resulting market would be more normal and less overheated. I believe the ups and downs we are experiencing point to that more “normal” market where prices rise normally (more slowly) and buyer and seller have a pretty equal advantage. Probably no one will greet this news with any great zeal. Buyers got used to having the advantage in the Recession and sellers are grasping at the advantage since it ended. Many factors will, in my view, cause this market to advance normally rather than overly bullishly until this up-cycle ends in a couple of years and we experience a gentle correction. The rental market far outstrips the residential sales market in terms of demand and new housing starts are more often rental units, thereby also depressing the number of people looking to buy vs. rent and the buying choices they have. Buyers have started to disappear since the interest rates inched up. Rates are still historically low but any increase at all will throw a dose of panic into prospective home buyers and make them retreat from the process. The giddy relief of the end of The Great Recession is over. Economic recovery is becoming standard news and the so-called “pent-up demand” will naturally wane over time. People are still unsure about their job security and it’s becoming painfully apparent that wages are stagnant and the biggest employment opportunities are in the low paying service segment of the economy. The nation’s overall economic recovery is anemic and somewhat spastic. One month good news, the next month not so good. Sustained, robust growth is necessary in jobs and the overall economic outlook before big-ticket items like houses sell with any consistency. This doesn’t mean we should retreat from the process or postpone entering the market. For sellers waiting is not a successful strategy. Who knows what the market will be like in the future? It’s not a good idea to wait and hope your equity will improve. It won’t because while you’re waiting you’re paying mortgages, equity lines, property taxes and insurance on your house, all of which are eroding your equity. Wait too long and you’ll get caught in the next downturn. A buyer who waits will probably pay more for a loan as the economy improves. It’s also been my experience that you find that perfect house once and if you pass it up chances are what you settle for later won’t be quite as perfect. So, what to do? What to do? Do what I have always advised my clients: Buy or sell when it suits your life. It will make sense when you’re ready regardless of the market you’re in which brings me to my final piece of advice: know the whole truth about the market you’re entering, either as buyer or seller and don’t rely on what you’re hoping for – rely on the facts. Consult someone who spends every day observing and interpreting the market. I research market facts and numbers every day and have been doing it for years. You may not like the facts but you’ll never succeed without them.